Properties in Tapuaetahi Beach average 4.7 out of 5 stars. Property 7: The Pohutakawa Beach House at Tapuaetahi, Kerikeri. Property 26: Idyllic beach bach . North / North West facing. Property 35: Garden Oasis in the heart of Kerikeri township. Property 37: The unique Pioneer Valley Delight top holiday destination for big groups!! Really enjoyed our short break in Tracey's accommodation. It was very well set up, and extremely clean. Tracey was easy to communicate with and made sure we knew she was around if we needed her, but never intruded. The bed was really comfortable, the shower had great pressure and the breakfast was well thought out. 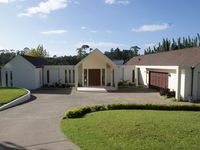 The place is a short drive or 10-15 minute walk to Kerikeri, in lovely, quiet surroundings, really peaceful. Would highly recommend a stay here!